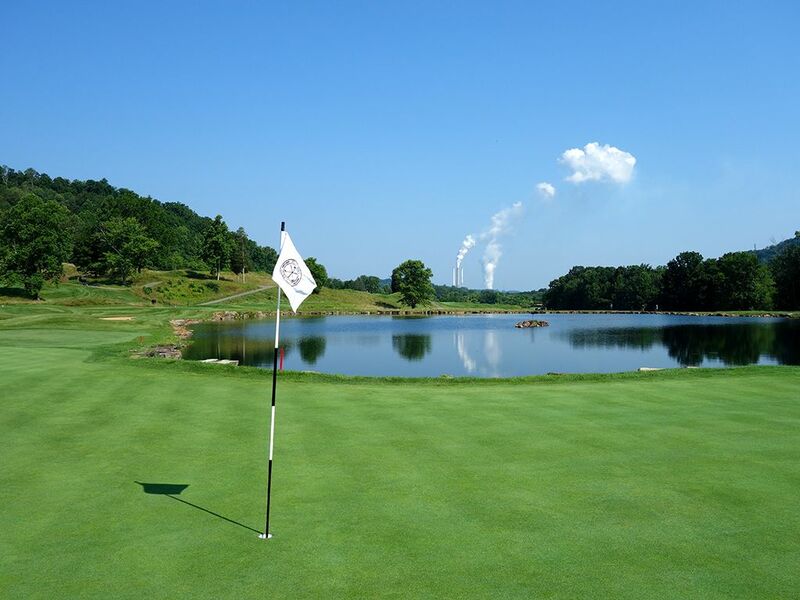 Course Website: Official Website - Visit Pete Dye Golf Club's official website by clicking on the link provided. 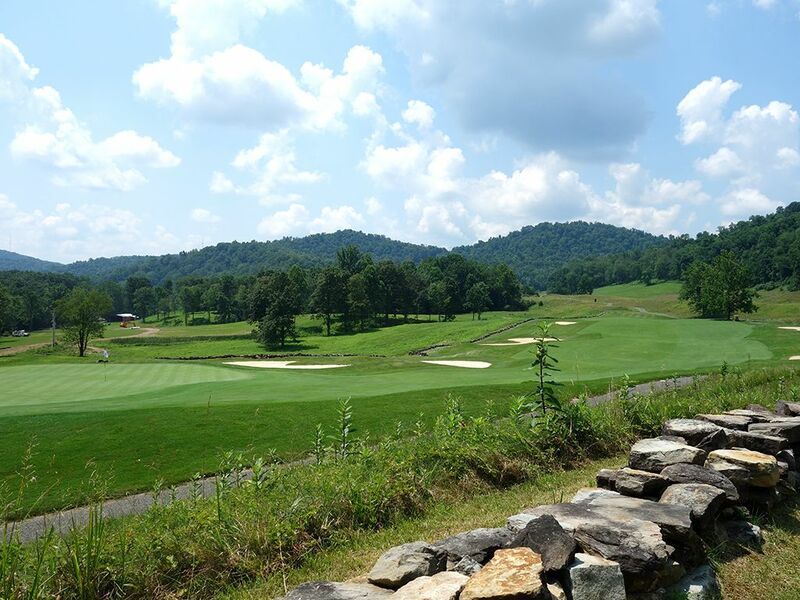 Accolades: Ranked 1st in West Virginia on Golf Course Gurus' Best in State list. 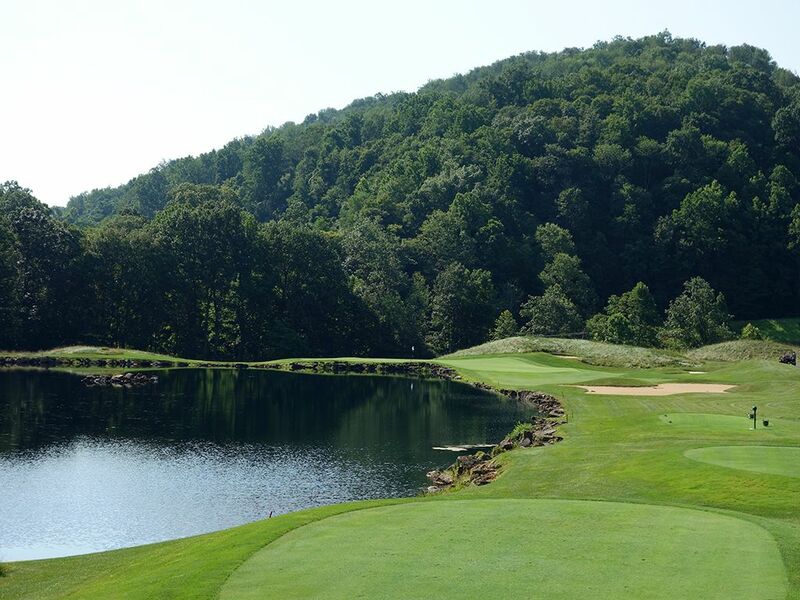 What to Expect: West Virginia's famed Pete Dye Golf Club is located on an old strip mine and pays tribute to its heritage throughout the course with an old mining tunnel leading to the 7th tee, a strip mine wall on the 8th, an abandoned coal train on the 10th, and pieces of railroad track lines that are used as tee markers. The routing enjoys wonderful rolling terrain framed by tree covered hills that deliver privacy to the experience while still offering expansive views in the distance. 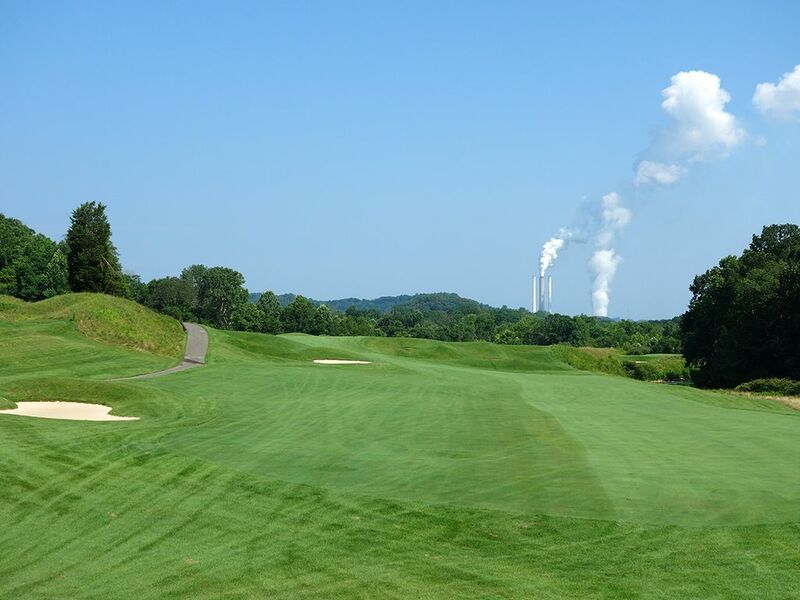 Perhaps the biggest compliment to the club is how many players appreciate the course whether they are fans of Pete Dye designed courses or not. 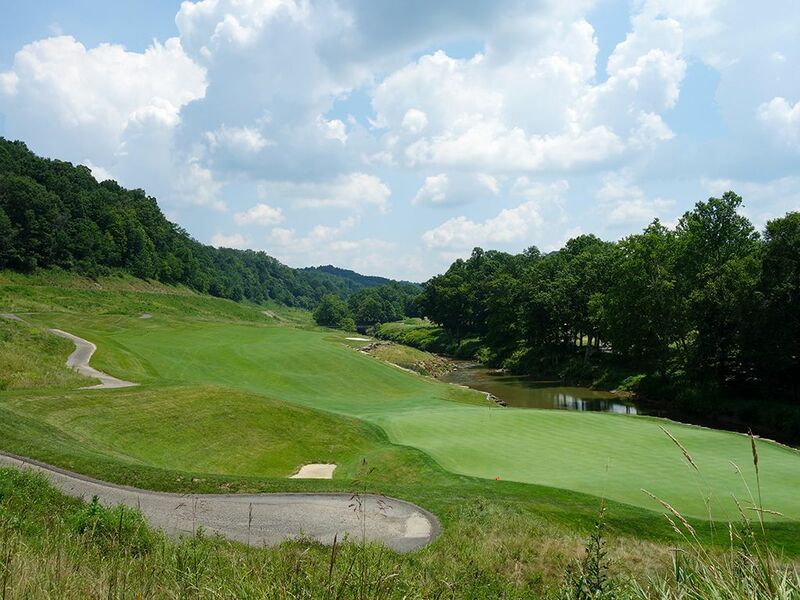 Pete Dye isn't afraid to try extreme things in his designs and almost revels in delivering some pain to players as evidenced by his famous quote, "Golf is not a fair game, so why should I build a fair golf course?" As such, Pete has some loyal fans and just as loyal enemies of his work. But Pete is friendlier at his namesake course by offering wider fairways and less penal circumstances for mis-played shots compared to many of his designs which results in an experience that appeals to a much wider audience than usual. Don't take that to mean the course is easy, because it is far from it, but the challenge is a fair and rewarding one with some of the most memorable holes and greatest variety I've seen at a Pete Dye course. The relatively isolated location of the club finds itself about two hours south of Pittsburgh, three hours east of Columbus, and four hours west of Washington DC which may be a contributing factor as to why the club has changed ownership multiple times in its relatively young history. Cell phone use and cargo shorts are not allowed on the course and riding a cart will be the way the vast majority of patrons will play their round. 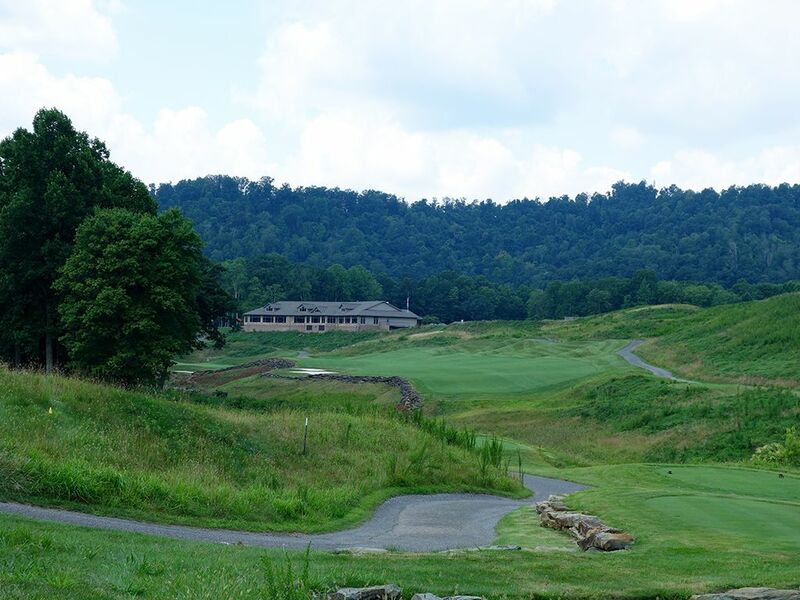 Ultimately, the Pete Dye Golf Club is a great course in an unsuspecting location. 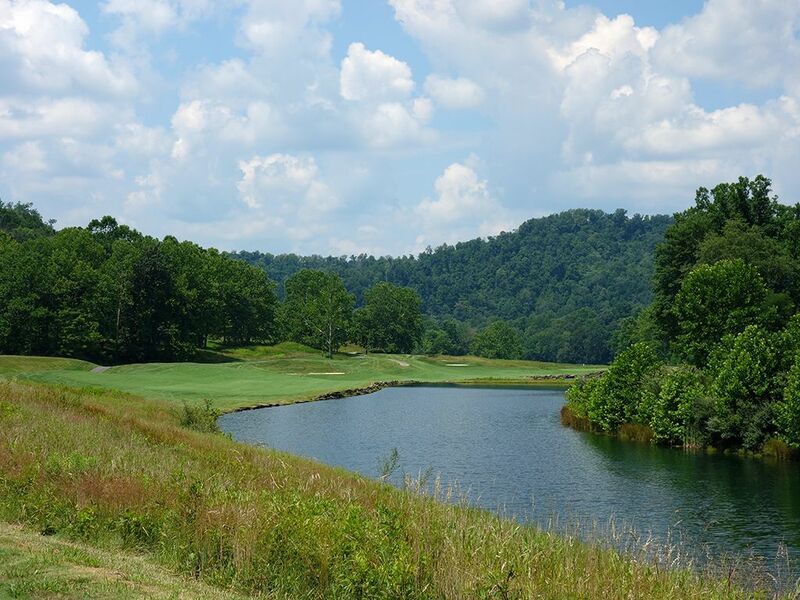 Signature Hole: 5th Hole – 581 Yard Par 5 – The 5th hole at the Pete Dye Golf Club is one you won't soon forget. 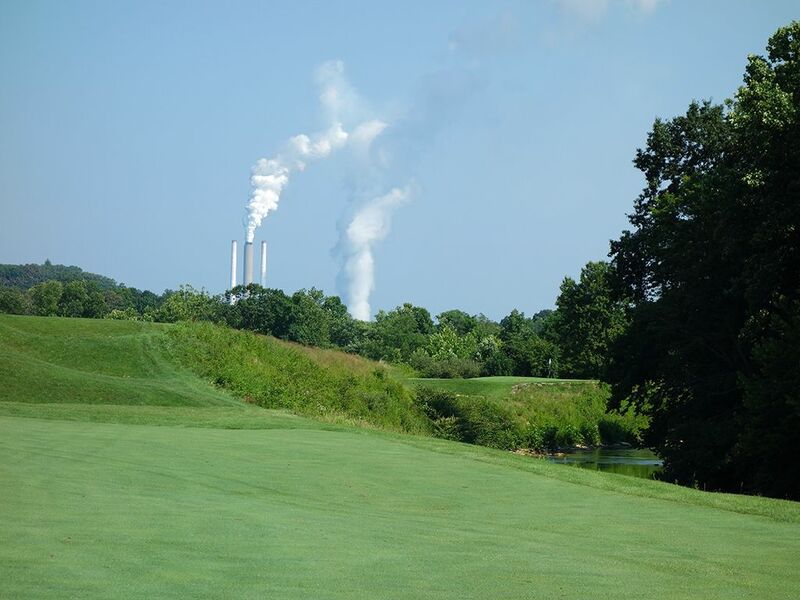 With iconic smoke stacks billowing in the background and tumbling terrain that feels like a roller coaster ride, this par five delivers fun, options, and scenery. 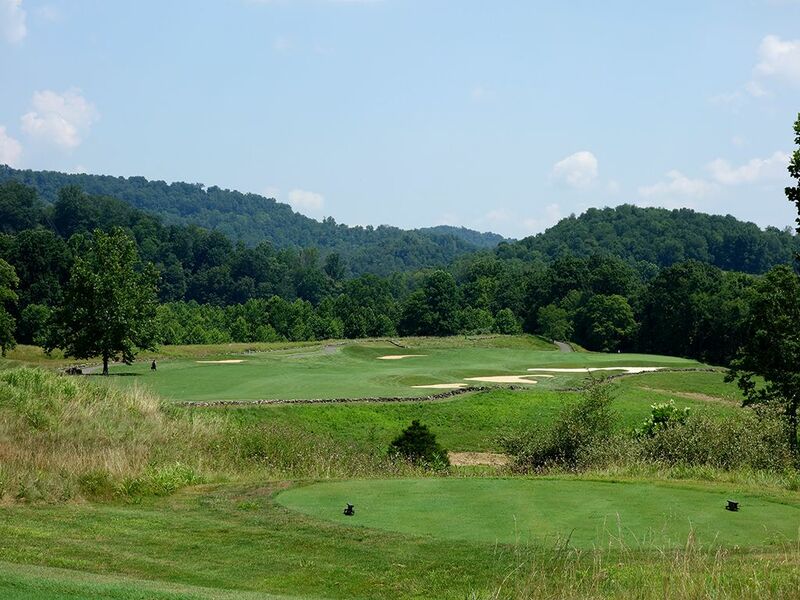 A serpentine shaped hole with a ten foot rise in the middle of it, the bold player hits his drive up the right side towards the base of the hill that sets up a risky, but reachable, shot at the green. From this right side you'll have about 225 yards to a raised green that is bordered by a river snaking along the right side and the longest bunker on the course having to be carried along the way. The safe play is to stay up the left side the length of the hole which offers a great angle to the green on the approach shot, but those willing to make a crack at reaching this green in two will be offered one of the most satisfying eagle putts they'll ever enjoy. 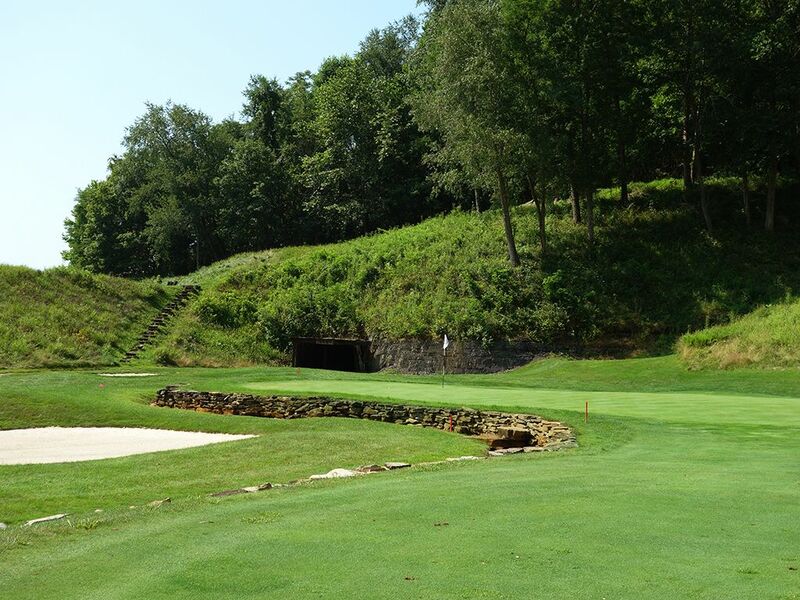 Best Par 3: 4th Hole – 227 Yards – The 4th hole is an intimidating, yet attractive, hole that will require a very well struck shot to reach this green in regulation. The putting surface is shaped like an elbow macaroni that wraps around the pond and makes a back left pin position nearly impossible to attack considering there is only 15 yards of depth on that line to work with. The sensible play regardless of pin placement is up the right half of the green where you'll never need to carry the water enroute to the putting surface. If you have a lapse in concentration early in the round, this hole will expose you in a hurry. Best Par 4: 14th Hole – 489 Yards – The lengthy par four 14th takes discipline to walk away with a good score on. The hole bends right which can tempt players to challenge the inside corner and cut yardage off the hole, but the bend isn't as strong as it appears from the tee and can sucker players right into one of the fairway bunkers. The first fairway bunker is 275 yards out on the right side so the prudent play is up the left side which will likely leave you 200 yards from the green. The slightly raised turf left of the green is shaped in a way that will allow players to use the ground game to feed an approach shot into the putting surface. The 14th is the first of a very challenging final stretch of holes to conquer at the Pete Dye Golf Club. 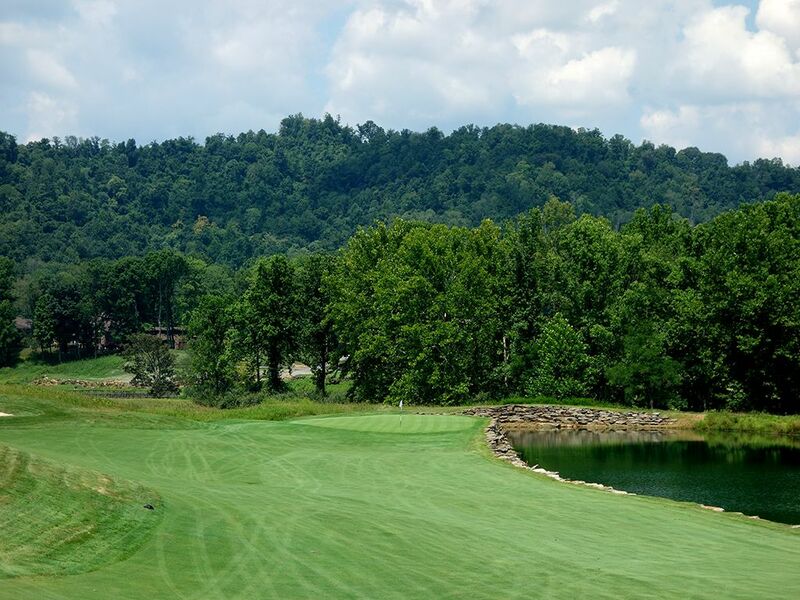 Best Par 5: 15th Hole – 541 Yards – While the 5th hole is the most iconic par five on the course, Pete Dye comes through with another excellent offering with the final three-shotter on the property. The entire right side of the hole is laced by a pond while the left side features fairway bunkers starting about 300 yards out. 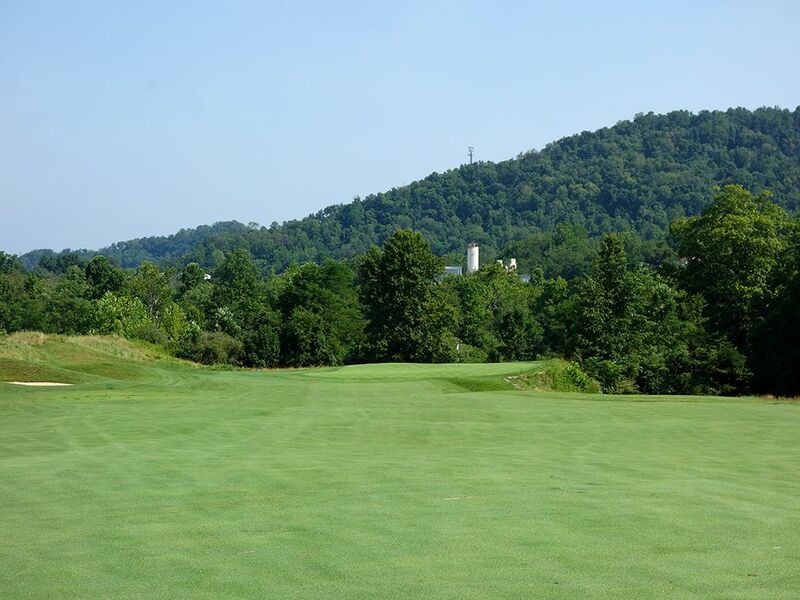 Approach shots should favor the left side of the fairway since it avoids the water and because the slope of the terrain is such that it will kick balls down towards the putting surface. If you don't get greedy, this can be a hole you walk off with a birdie on. Birdie Time: 6th Hole – 339 Yard Par 4 – A booming draw with a little wind help can make this short par four driveable and set up an easy birdie. 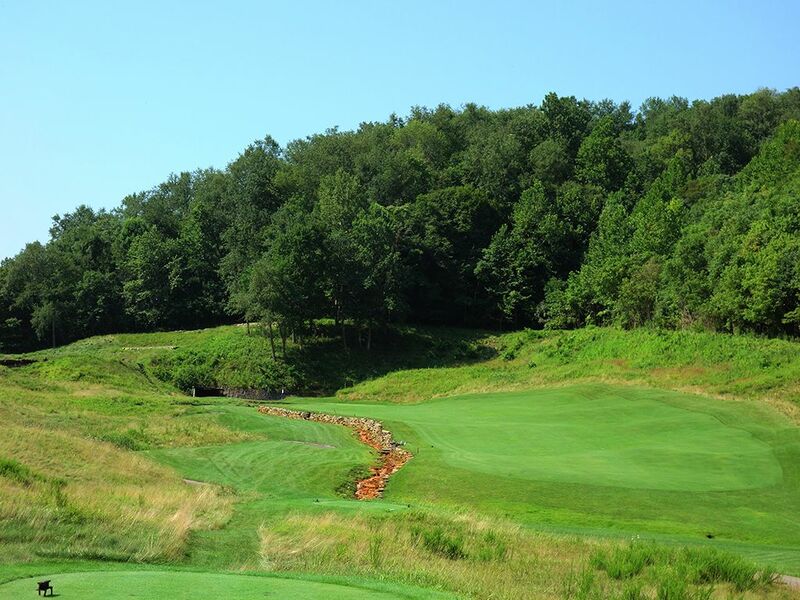 A rocky stream sets the left boundary of the fairway while a foliage covered hill frames the right side of the hole. A tee shot up the right half of the fairway sets up the best angle for attacking the flag with a wedge in your hand. Behind the green is an old mine shaft with old wooden support posts, lights strung on exposed wiring, and water covering the ground. You can go through this shaft to reach the 7th tee and be reminded of this property's roots and history. Bogey Beware: 18th Hole – 510 Yard Par 4 – Pete Dye gets his diabolical reputation because of holes like this. A significant carry is required off the tee just to reach the fairway which becomes increasingly difficult considering the hole plays back into the prevailing wind. The right to left sloping fairway sits about ten feet above the green and if you don't hit your tee shot far enough, the raised fairway will block your view of the green. A river claims the area left of the hole and must be considered when attacking the green where balls could quickly tumble off to the water. Greens in regulation are rare here as are par saves; it is just a flat out brutal way to finish the round.